Alpharetta GA HomePath Homes for Sale. Fannie Mae REO Homes Alpharetta GA.
Alpharetta GA HomePath Homes for Sale. View Fannie Mae Home Path REO homes for sale in Alpharetta GA. HomePath Homes - great prices and low down payments get approved mortgage financing. HomePath Homes Alpharetta GA.
HomePath Homes are Fannie Mae REO bank owned properties that are being offered for sale. These are great opportunities for Alpharetta GA homes buyers looking to buy realistically priced homes, and get some great terms when buying these properties. 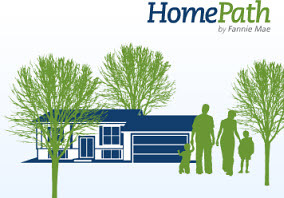 Fannie Mae's HomePath includes a wide selection of homes, including single-family homes, condos, and townhomes. The number of listed homes in inventory, style types, and the final sales prices of homes that are listed for sale may vary substantially. Many of these homes are newer homes; however, older homes are offered in some areas, and some homes may require repairs. Each home offering is different. *These homes are homes that are listed in FMLS & GAMLS and have used the Keyword Terms "HomePath...homes, or financing...etc" and available through Broker Reciprocity or IDX. This is not a full listing of HomePath Homes. 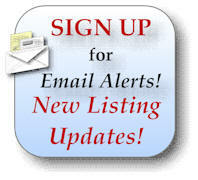 For a complete listings of HomePath Homes for Sale go the HomePath website.